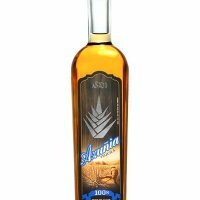 LOUISVILLE, Ky. (April 4, 2007) – Tequila Herradura and El Jimador , the top tequilas in Mexico, brought home several prestigious awards from the San Francisco World Spirits Competition, held March 17-18 at the Mandarin Oriental Hotel in San Francisco. Topping the list was Herradura Anejo, which was unanimously given the highest honor of double gold. Herradura Reposado and El Jimador Anejo each received a gold honor. With more than 700 spirits entered from 52 countries and six continents, the San Francisco World Spirits Competition is the largest spirits competition in America. It was started in 2000 and has grown exponentially in both participation and recognition each year. It is the first comprehensive international spirits contest held in the United States on an annual basis. The 22-person judging panel, which consisted of journalists, industry executives, wine and spirit buyers, spirit book writers, club and restaurant owners, and beverage and spirit show hosts, awarded bronze, silver, gold and double gold medals. Double gold medals are presented when all judges on the panel value the spirit as gold, elevating the selection to double gold status. Continually striving for excellence and innovation, Tequila Herradura has progressively redefined the tequila industry. In 1975 Tequila Herradura introduced the first Reposado tequila to the commercial market. It also introduced the first Extra Anejo several years later. Today, Tequila Herradura is one of the largest holders of barrels in all of Mexico and is one of the leading marketers of aged tequilas in the world.